The sparks napped rather than flew during “Real Time With Bill Maher” Friday night, except for host Maher’s exasperation with mid-show guest Anthony Scaramucci’s wonk-off with panelist David Frum over The Mooch’s scotched deal to sell his company to a Chinese firm. 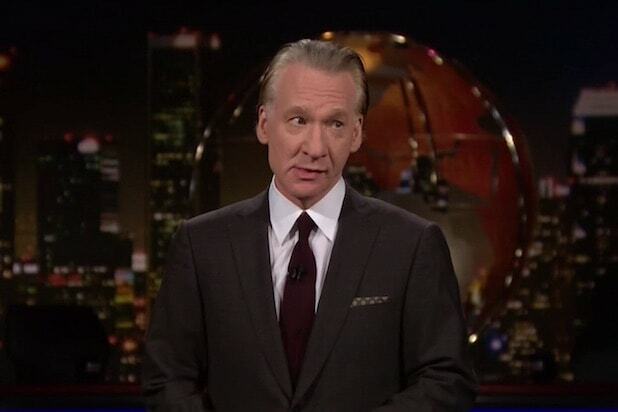 But the show got feisty in the last 10 minutes with “New Rules,” when Maher laid into Trump supporters who bought into the president’s promises to build a wall along the Mexican border, and offered them some small solace since it hasn’t happened and doesn’t appear to be possible. “A wall represents an impregnable barrier that keeps out not just Mexicans, but everything that makes them feel antsy about the old America that’s slipping away,” Maher continued. “Every time you vote you vote for a child molester because the other choice is a Democrat, the wall is there. Every time you feel rage because a voice recording says ‘For Spanish press 2’, the wall is there. It’s there whenever you begin a Facebook post with ‘I’m not a racist, but.’ It’s there every time a unisex bathroom makes you hold it ’til you get home. It’s there when snow makes you deny global warming. And it’s there at the ball game when two gays on the kiss cam make you throw up in your mouth. Every time you use air quotes when you say the word ‘college,’ the wall is there. It’s there when you use ‘Jew’ as a verb. And it’s there every time you’re Tucker Carlson,” Maher continued.